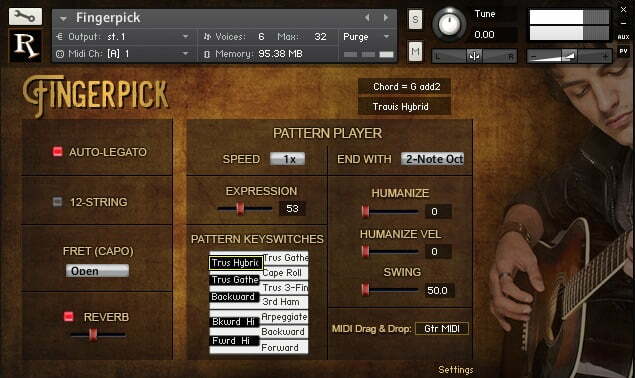 Not only is Fingerpick sampled so that fingerpicking sounds natural, we included a Pattern Player that makes authentic playing easy. Just play chords on “the green keys,” and the Pattern Player does the rest. A dozen pattern styles to choose from.